Robots began their journey as an entertainment puppet for royal people and as toys in the hands of early inventors like Al-Jazari and Leonardo Da Vinci. But now the technology is so advanced that almost all the industries begun to rely on robots for more precise operations and efficient completion. From as big an industry as NASA to small scale production industries, everyone uses robots in their operations. With such a level of penetration, it is difficult to imagine a future that will be void of robots. While the urge to learn robotics is common among the budding engineers, the real challenge here is, how to develop an actual career in robotics? One cannot develop a career in robotics without having an actual understanding of how the robotics technology works from core. Robotics is a complex technology where one needs to have a good understanding on mechanics, electrical & electronics components principles & working, programming logics & calibration etc. to develop innovative projects. Without a doubt, robotics is a multi-disciplinary field offering equal opportunities to engineers from electrical/ electronics/ mechanical/ computer science backgrounds across varied industries. So how to learn robotics in the right way? 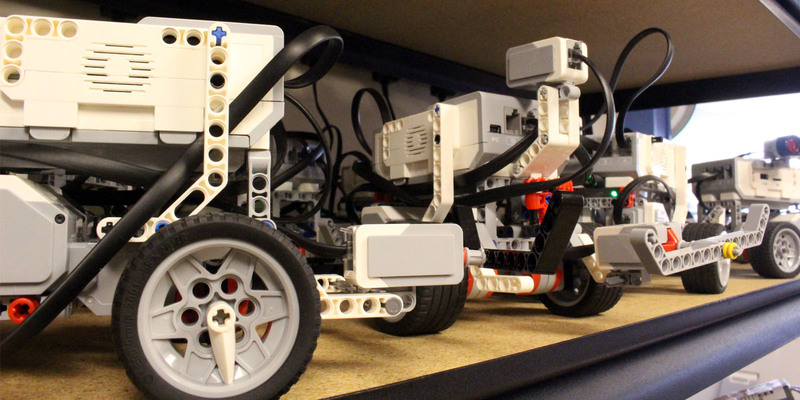 Learning by building robotics projects is a great way to get acquainted with this technology. And winter training programs on robotics provides you exactly this. Such training programs offer you a platform where you will learn the actual technology by developing great projects. This winter training program on robotics helps you to get started in robotics domain and provide the skills needed to build your own robots. Why is this the best winter training program for robotics? Who should attend this winter training program?